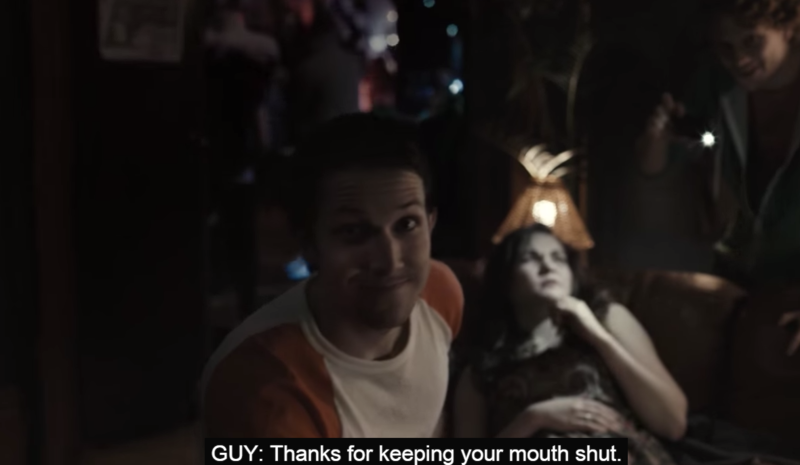 New Anti-Sexual Violence Video Creeps Me Out. Good. That was what hit me as I loaded up some Let’s Play or another on Youtube. Ontario’s new campaign against sexual violence campaign, #WhoWillYouHelp, is aimed squarely at bystanders. 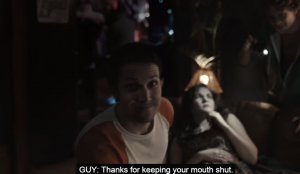 The video provides several examples of sexual violence, each one culminating in the perpetrator thanking the viewer for just being a viewer. Not thanks for watching, but thanks for not doing anything. Thanks for letting them do what they want to whomever they wish. The delivery is bang on, and creeps me out every time. And that’s great. It should creep me out that there are people who do this, and it should bother me that I might be a person who lets them. Doing nothing is the easiest thing in the world. It doesn’t make any trouble for you, there’s no confrontation necessary, and everything pretty much stays the same for you. There are all kinds of excuses we can invent, a laundry list of victim blaming tactics that shove responsibility away from us. Sometimes we blame the perpetrator instead of ourselves, too. It is the fault of bad people doing bad things. We are not bad people, we would not do bad things. We would never hurt anybody. And sure. Sometimes, even often, people are hurt when bad people do bad things. But people are always hurt when good people do nothing. I don’t even think we need that part. I’m glad it’s there, from a teaching standpoint, but even if you never get thanked, even if they never find out it was you and you don’t get your cookie, you know. In that moment you were the kind of person that you’re supposed to be. The kind of person everyone brags about being on Facebook. And the next time you see it, you’ll get the chance to decide who you are again. You’ll get the chance to decide whose side you’re on. Because this is an issue with sides. There are people in my life that I know have experienced assault of one kind or another, and unquestionably people I know who have and haven’t told me. I am on their side. That means believing testimony. That means understanding consent. It means listening. It means not standing up for abusers, and it means never standing by and letting that happen to someone. When you joke about assault, when you ask tired questions about how drunk she was or what she was wearing, when you say it’s just for the attention, they know whose side you’re on, and it’s not theirs. If you let it happen, if that guy turns and thanks you for helping him get away with something, you know whose side you’re on. That first line gets to me because it puts me, as the viewer, on the other side. It puts me in those shoes and lets me have the feelings I’d have there. How can I let him thank me, knowing what he just did? Knowing whose side that puts me on? After all, it’s easy to declare that you’re on the other side, the side that feels entitled to touch and take without consent. You don’t have to do anything at all. Literally, all that is required of you is to do nothing, and you’re doing that guy a huge solid. “Thanks,” he says, because he knows. He knows he shouldn’t, and that he just got away with it.